Just about all medical providers will try to treat a medical problem with the minimum therapy needed to treat it. The insurance industry also prefers conservative measures rather than aggressive treatment such as surgery. Their reasons differ and are mainly based on the fact that conservative therapy is less expensive. From a medical point of view, it is optimal for the patient when a problem can be resolved using ‘low risk’ measures. This is no different in the case of varicose veins. Exercising to maintain muscle tone. Elevating the legs does increase the ability of the veins to move blood toward the heart. This helps to relieve the pressure that tends to build up in the veins. Unfortunately when the legs are put down, the problem of backward blood flow returns. Exercise also promotes good blood flow by adding support to the vein walls. This simply is not adequate on its own to resolve varicose veins. Anti-inflammatories relieve the aching, burning, itching symptoms associated with distended veins; however, they last only 4-6 hours. They also can have detrimental side effects such as stomach irritation. Compression socks are the most helpful conservative therapy of all. These give excellent support to the weakened vein walls and consequently relieve the symptoms associated with the stretching of the vein wall. This is only true while they are on the person’s legs and compression sock are uncomfortable and hot to wear. All in all conservative therapy can be helpful in reducing the symptoms associated with varicose veins. 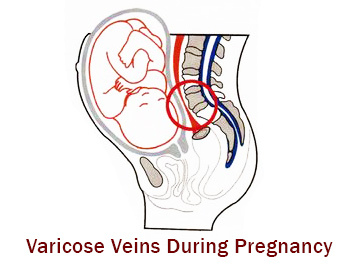 It will also help to prevent additional varicosities from forming. However, it will not eliminate the distended, twisted, incompetent veins that already exist. Ultimately more aggressive therapy will be necessary to remove the varicose veins. Most insurance companies are insisting on a ‘trial period’ of conservative therapy before they will consider authorizing the newer treatments that are available. Therefore if you are considering having your veins treated it is a good idea to start wearing compression socks, trying some Ibuprofen (Advil), elevating your legs, and walking several days a week well before you plan to visit your doctor. Larger varicose veins that are usually main tributaries off of the greater saphenous vein. These may be raised above the level of the skin causing lumps or ‘twisted’ veins. This procedure involves actually removing small segments of the vein. This in turn causes clotting and scarring to occur in the remainder of the vein segments. Blood flow is disrupted and the vein scars down and essentially dries up. Ligation (tying the vein with absorbable suture) is commonly performed with phlebectomy. This helps to ensure that blood flow does not return to the vein giving it the opportunity to re-open. This is an office procedure. The vein may be carefully marked before beginning. The leg is then cleansed with some surgical prep. Local anesthetic is then injected along the course of the vein. Following this, several small 3-4 millimeter incisions are made along the vein at roughly 5-6 centimeter intervals. Using special instruments the vein is then hooked and brought up and out of the incisions. Short segments up to 5-6 centimeters in length are segmentally removed. Ligation may be performed at this point or pressure is applied to control bleeding. The incisions can be closed with suture or (more commonly) sticky strips called steri strips. A bulky compression dressing is then applied to the leg. Some providers will add a compression sock to this bandage as well. There is some mild to moderate discomfort during the injection of the local anesthetic. However, after this there should be no pain. The patient is usually aware of some pushing and pulling or pressure sensations, but it should not be painful. Some patients find that the thought of removing veins is too much for them. In these rare cases some mild sedation is helpful. The compression dressing is usually left in place for around 48 hours. Following this compression hose are worn for about 7-10 days. Elevating the leg frequently for 24 hours is recommended. Return to normal daily activities is then allowed. High impact exercise is best avoided for 1 week. This is an invasive procedure so bathing, hot tubs, and swimming pools should be avoided for 1-2 weeks as well. Most patients are back to work in 2-3 days. Usually quite good with excellent patient satisfaction. 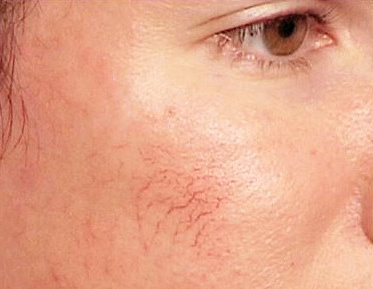 The large veins treated in this fashion resolve within 2-4 weeks. Greater and Lesser Saphenous veins as well as large twisted branch varicose veins. 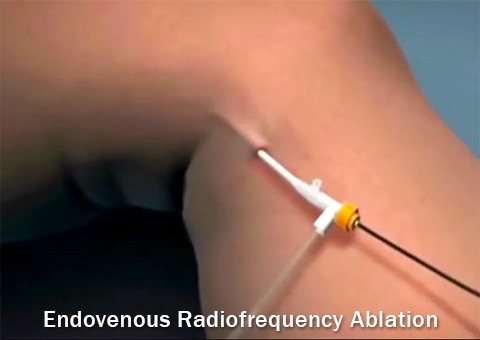 This was the preferred treatment for the saphenous veins until ablation techniques were developed. The veins are actually physically ripped out of the leg. Suture may be used to tie off the ends of the vein being removed. Bleeding and bruising are usually profound. 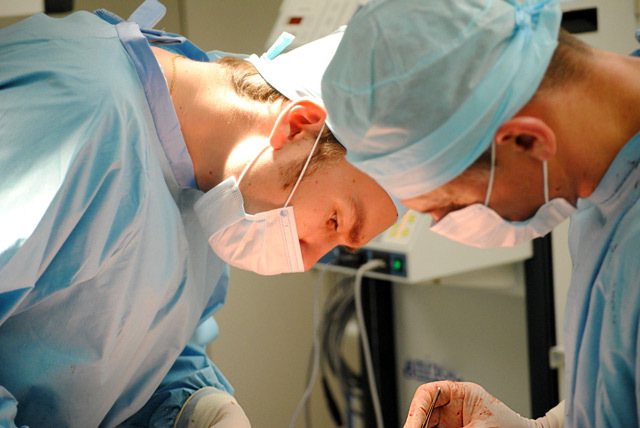 This is a surgery performed at the hospital or outpatient surgery center under general anesthesia. The procedure involves numerous incisions in the leg ranging from 1-6 inches. Veins are then accessed and physically stripped out using a stripping device. This can be repeated on as many veins as is necessary. The incisions are then closed either by suture or staples and bandages are applied. The surgery is done under general anesthesia, so tolerance of the procedure is obviously good. The recovery however is difficult. Pain, bruising, and swelling are usually high. There is quite a bit of time off of work. Narcotic pain medications are usually necessary. Elevating the legs for up to 2 weeks is usually recommended. Elaborate compression dressings are in place for 1-2 weeks. No bathing for 2-5 days. Elevation of the legs is critical for 1-2 weeks. Ice is used for the swelling. Pain is controlled with narcotic medications. Follow-up is usually 2 weeks and then again at 6 weeks after surgery. The large veins are gone after stripping. The incisions leave fairly prominent scars however. Spider vein formation around the scars is also common. Not usually considered a cosmetic improvement but can eliminate pain and swelling. This treatment is generally used for small spider veins that are around 0.25-1.0 millimeters in diameter. These are usually red to purple in color and can be in fan shapes, starburst shapes, or in a line. These commonly occur around the ankles and knees, but can show up anywhere on the legs. Yellow, red, or infrared light is pulsed over the area of spider veins the light causes heat to be generated in the veins and thus cell destruction to occur. This in turn leads to resolution of the vein. Multiple treatments are often necessary. The type of light and pulse settings is determined initially by the type of veins to be treated. The skin is usually cooled using ice packs or some other type of cooling device. Occasionally a numbing cream may also be applied. A water based gel such as KY jelly is applied to the area to be treated. The light head is then placed over the area to be treated and the device is fired. This may be repeated several times over the same area. Compression socks after treatment may be recommended for a short time. Patients generally tolerate this very well. The most common complaint is pain due to the area becoming too hot. Occasionally there are skin blisters and or burns that form over the area of treatment and this can lead to longer recovery. There is minimal care required. Some providers would recommend compression sock use for a short time. Ibuprofen or Tylenol is adequate for any post procedure discomfort. Follow-up is usually 2-6 weeks. This varies widely with the type of light used, the experience of the provider, skin type of the patient, and the veins being treated. Generally small spider veins on light colored skin respond well but may require multiple treatments. Darker skin or larger veins may have less than desirable results. This therapy is generally aimed at medium sized reticular veins and spider veins (telangectasias). These veins range from 1-5 millimeters in diameter. 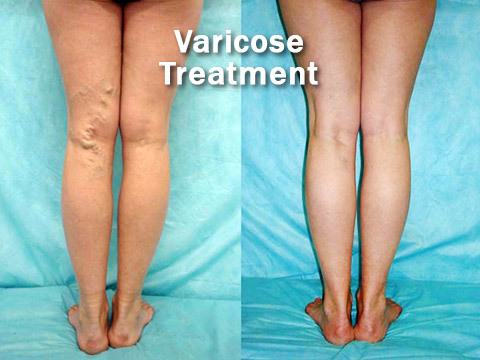 This treatment has been used for larger veins, however large varicose vein response to this therapy is mixed and the recovery can be more difficult and complications such as pain and skin bronzing are more common. A chemical agent usually Polidocanol, Sodium Tetradecyl, or some other sclerotherapy agent is injected into the vein. The chemical causes the live cells that line the vein wall and the blood cells to shrivel up and die. The damage to the vein is extensive. Scarring, clotting, and inflammation then take place and the body essentially tries to remove and/or scar down the damaged vein. This renders it useless and it is no longer visible and can no longer cause symptoms or problems. The area of the vein or veins to be treated is usually cleansed using an alcohol wipe. A 27-30 gauge needle (very small) is then introduced into the vein. This is much like starting an IV only with a much smaller needle. The provider then pulls back on the syringe and if blood appears in the needle, then it is in the vein. The sclerotherapy agent is then injected into the vein. The agent usually will course throughout the vein and many of the varicose branches. Experience tells the provider how much to inject and when to quit. The needle is then withdrawn and direct pressure is applied to the injection site for several seconds. Often times the solution can be seen moving through the veins and gives a clue as to where to make the next injection. It can take several injections to entirely treat a large area of the leg. Most patients find the sclerotherapy injections to be one of the easiest treatments to endure. There is a slight prick as the needle is introduced followed by a mild burning sensation as the solution is injected. The burning may persist for several hours afterward, but then usually resolves. The chemical agent used greatly influences the amount of pain (See the table describing “Types of Sclerotherapy Agents”). A mild dull ache is usually present for 4-6 weeks as the veins slowly resolve. Patients describe this as a ‘bruised’ sensation. A compression type dressing is applied to the veins treated. This can consist of simply cotton balls taped in place with a compression sock over that or some similar setup. Most providers recommend 48 hours of this dressing followed by use of the compression socks for 7-14 days. Follow up with the provider is usually 2-4 weeks. There are few limitations to activity and most patients can return to work the following day. It is good to avoid heavy lifting, straining or standing for several days. Usually very good. Most veins treated with this method will resolve. Occasionally with larger veins repeat treatment is needed to complete the task. The main difficulty with this treatment technique is a healing period of several months.